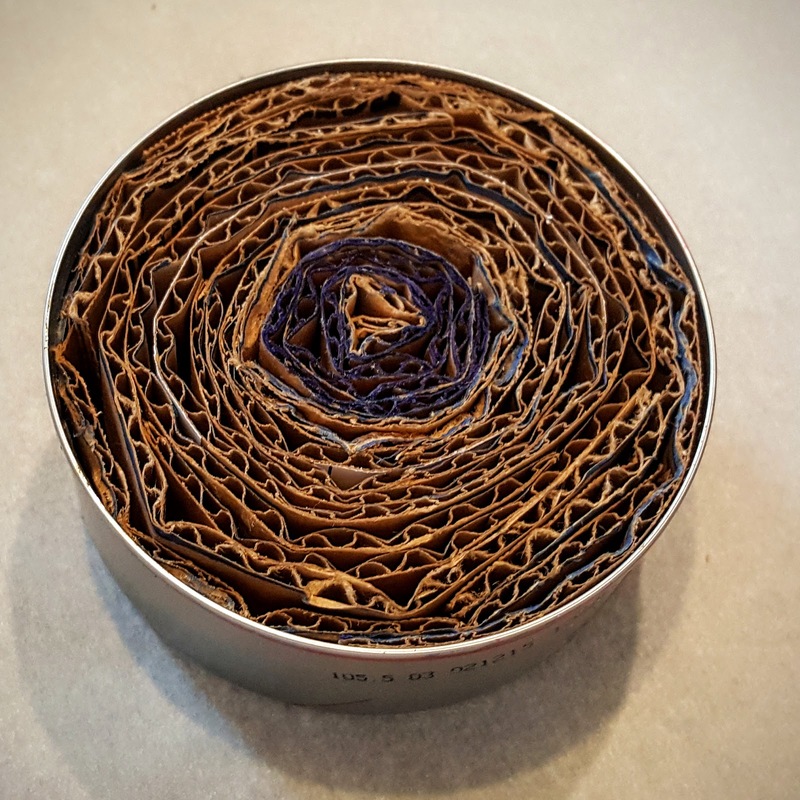 I have two thoughts: (1) Whew. Thank heavens I accounted for all 24 of them. I could just imagine pulling out a dryer full of crayon-streaked clothes. And (2), whoo! It's buddy burner making time! 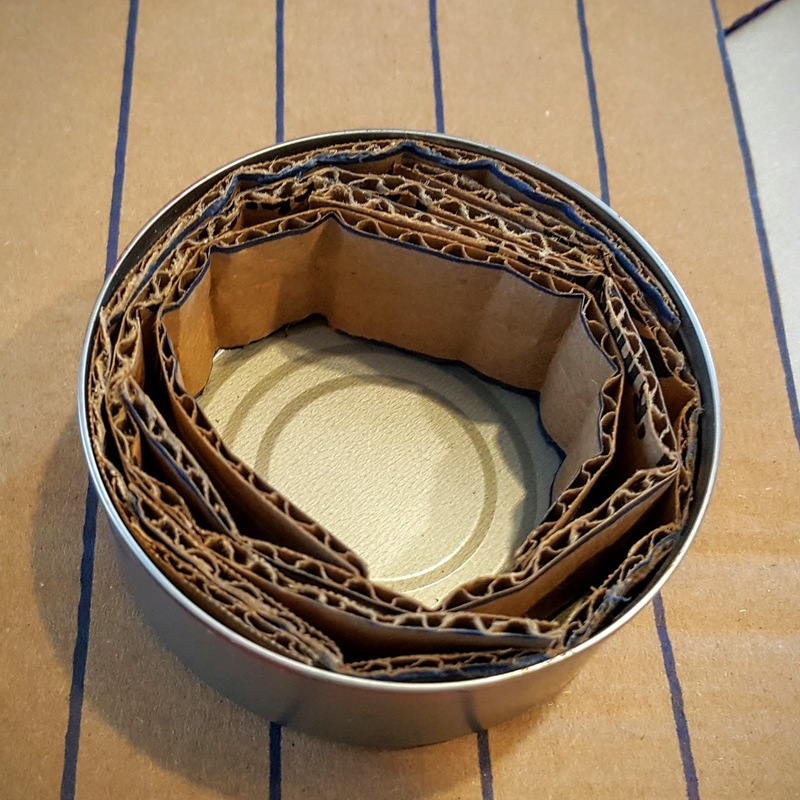 A buddy burner is an outdoors / preparedness hack, where you turn a can, cardboard and wax into a mini-stove. The stove is basically a large candle, so it's usable indoors; a claim nearly all other improvised stoves can't make. The insructions for making them aren't difficult, but I've never had a source of wax to give it a try. 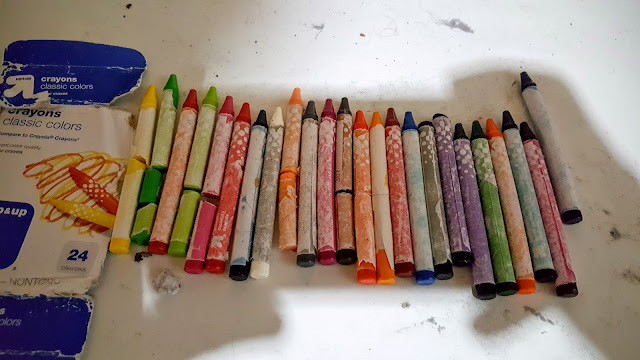 With my collection of crayons, I now had this final ingredient. The whole thing went together easily enough: the cardboard from a recent Amazon purchase was easy to cut and shape, and the caryons melted with ease in my improvised double-boiler. After letting the burner cool for an hour or so, I went ahead and lit it up (see above). Yeah, the results weren't especially astounding. I believe I over-filled the burner, not leaving any cardboard peaking out from the wax. 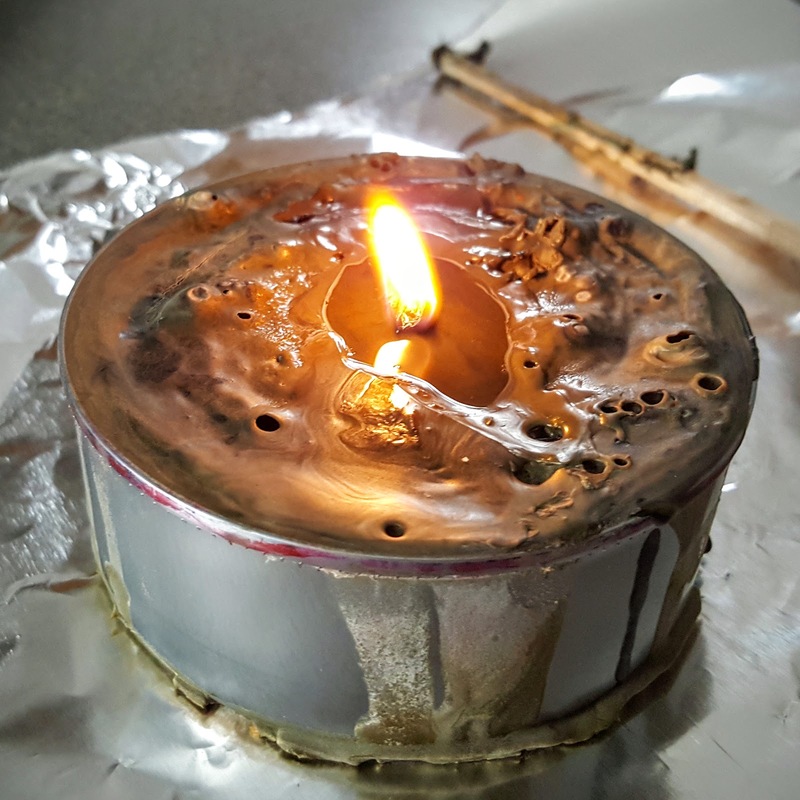 The result is that I've created one heck of a candle, but not much of a stove. I should be able to melt and reshape things to fix this oops. But for now, lesson learned: always leave some cardboard showing at the top of the stove. How exactly a box of crayons ended up in our laundry basket is still a mystery to me. But I'm glad it happened and this was definitely a fun project worth trying. 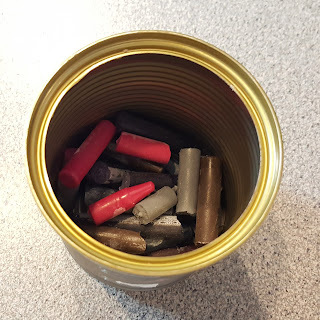 My suggestion: skip the washing machine step and just salvage an old box of crayons you have lying around.